In order to increase the possibility of obtaining a patent in those industrial property offices that perform substantive examination and develop the quality of national patent application, The European Patent Office decided to enable Latvian patent applicants to evaluate the patentability of their inventions. After the negotiations on December 12, 2012 between the European Patent Organization’s Administrative Council and the director of the Latvian Patent Office Reinis Berzins and the director of the Department of Examination of Inventions Guntis Ramans it was discussed and agreed that Latvia is ready to start negotiations with the European Patent Office in order to complete a bilateral working agreement on search cooperation. According to this agreement the European Patent Office performs searches of Latvian national patent applications and provides Latvian applicants with 50% discount on search fees. It is planned that a new service will be implemented in 2014. According to the decision of the Administrative Council of the Eurasian Patent Organization there were adopted a number of amendments to the certain legal acts, in particular to the Statute on Fees and to the Patent Regulations under the Eurasian Patent Convention. 1. One of the most important amendments is the introducing of the official fee for filing an appeal against the decision of the Eurasian Patent Office in the amount of 40000 RUB. The document, confirming the payment of the official fee should be filed simultaneously with filing of an appeal; otherwise the appeal is not considered as filed. Previously, official fee for this action was not stipulated. 2. The official fee for filing the Eurasian application for each claim in excess of 5 is increased from 2200 RUB to 3200 RUB. 3. Previously, the official fee for the examination of the application had to be paid in the amount of 25500 RUB for one independent claim and 19000 RUB for all additional independent claims. With the consideration of the recent amendments, the 19000 RUB should be paid for the second independent claim and 9500 RUB for each additional independent claim from 3 to 5. -	after 12 months from the expiration of set term, the official fee, as compared to the previous month, will be increased by 1000 RUB, instead of 500 RUB. 5. The official fees for the restoration of right on the Eurasian application and on the Eurasian Patent are increased up to the 25000 RUB. The above-indicated amendments will enter into force as of January 1, 2013. The official fees may be paid in the old amount in case the Notification from the Eurasian Patent Office to pay the official fee is issued before said date. Invention patent №100 000 was issued on November 20, 2012. Anniversary protection document was received by R.E. Kavezkiy Institute of experimental pathology, oncology and radiobiology of Ukraine for the new method that relieves consequences of chemotherapy treatment during cancer diseases. First patent in Ukraine was issued in 1992 year and now these one hundred thousand patents are the most valuable intellectual heritage of Ukraine. Despite of the difficult economical situation, Ukrainian inventors still offer new and interesting developments and conceptions. On the 8th of November 2012 the Parliament of the Republic of Lithuania enacted the Law on Ratification of the Singapore Treaty on the Law of Trademarks. On the same day in accordance with implementation of the Treaty the Draft Amendments to the Law on Trademarks of the Republic of Lithuania were approved. The objective of the Singapore Treaty is to create a modern and dynamic international framework for the harmonization of administrative trademark registration procedures in contracting states, one of the advantages of which is the possibility to predict and to minimize the situations, where the rights to the application or registration are lost due to the failure of meeting procedural requirements. There are three main areas of the Singapore Treaty that can be distinguished: filing of applications for trade and/or service marks, amendments after the registration of the trade mark (including licensing) and renewal of registration. Also, it should be mentioned that the Singapore Treaty does not regulate the subject matters of substantive trade mark law (i.e. absolute and relative grounds for trademark registration and etc.). Law on Ratification of the Singapore Treaty on the Law of Trademarks will enter into force on April 1, 2013. According to Article 28, Item 3 of the Singapore Treaty on the Law of Trademarks, Lithuania will become bound by this Treaty three months after the date on which it has deposited its ratification instrument. As of October 8, 2012 council of Ministers of Belarus introduced|adopted new resolution “About changes and amendments to a certain laws of the Republic of Belarus on filling of the invention patent application, conducting examination and making decision about patent issuing by the results of examination as of February 2, 2011 year №119”. -	application for invention patent granting with amendments of the applicant before patent office takes a decision to issue a patent on a base of preliminary examination. Moreover, according to these amendments new chapter 45-1 “Peculiarities of patent application examination while recognition of other identical invention or utility model application with the same priority date” will be added to the law. The above mentioned changes are essential for elimination of the questions related to excluding of invention or utility models double patenting. The new Court for intellectual property rights in Russia was staffed with 20 judges, 18 of who are actual arbitration judges. Ms. Lyudmila Novoselova who is currently the Judge of the Supreme Arbitration Court of Russia was recommended for the position of the Head of the Court of intellectual property rights. The idea of establishing the court which would deal exclusively with matters relating to the protection of intellectual property rights was brought forward in July 2010 and the law came into force in December 2011. The new court will consider two types of disputes: cases concerning existence of rights (establishing the rightholder) and cases concerning violation of rights. For the first group of cases (in particular, challenging the decisions of Rospatent and antitrust authorities that recognized the unfair competition actions relating to the acquisition of exclusive rights to the means of individualization) Patent Court will be the court of first instance. An appeal for cases of the first group is not stipulated, cassation appeals will be considered by the Presidium of the new court. The Patent court will consider patent cases of the first instance by the collegiate panel of judges. For the second group of cases, in particular, disputes concerning trademarks, the court for intellectual property rights should become the cassation authority while the courts of first and second instance will be ordinary arbitration courts. The new court will not be engaged in proceedings on copyright and related rights, which are now considered by the courts of general jurisdiction. Moscow has been approved to be the seat of the Court for intellectual property rights. The new court will be located in the rented premises until the corresponding building is built in Skolkovo. It will be recalled that the court has to start operation no later than February 1, 2013. It is well known that intellectual property and trademark owners face many problems during filing, assignment procedures and up to legal protection in general. Process of trademark obtaining through Kyrgyzpatent is complicated and takes about 14 – 18 months. Official costs are between 650$ -850$ besides other additional expenses. One more serious problem is an absence of a mechanism for cooperation of Kyrgyzpatent with Intellectual Property protection Customs. Single Registry establishment will help trademark owners to enroll trademarks in a list of both authorities at the same time, which will result in more effective protection for intellectual property objects. The Government of Tajikistan has notified to the Director General of the World Intellectual Property Organization (WIPO) a declaration modifying the amounts of the individual fee payable with respect to Tajikistan under Article 8(7) of the Madrid Protocol. In accordance with Rule 35(2)(d) of the Common Regulations under the Madrid Agreement and Protocol, the Director General of the World Intellectual Property Organization (WIPO) has established the following new amounts, in Swiss francs, of the individual fee that is payable when Tajikistan is designated in an international application or in respect of the renewal of an international registration. - for each additional class – 16. This change will take effect on September 29, 2012. Starting from August 2012 new, modified version of Eurasian patent-information system (EAPATIS) will be introduced. -	Possibility of organizing and saving documents which were found in a EAPATIS database on a user’s local disc and use them when requested. -	New EAPATIS version saves a single “window” conception and in a case when required documents were not found in a local database, request for a search can be re-addressed to the external sources of patent information or search information systems of free Internet access. -	Settings of new EAPATIS version can quite promptly process the search requests, and it is also capable to create lists of previously found documents and reflect search results. -	New EAPATIS version is equipped with a necessary informative and methodical guide materials for working with the updated system. The Republic of Moldova and the European Union signed an agreement to mutually protect their Geographical Indications concerning agricultural products and foodstuffs on June 26, 2012 in Brussels, Belgium. Moldova will ensure a high level of protection for more than 3,200 EU Geographical Indications for food products, wines and spirits already protected within the EU as well as recognition of Moldavian Geographical Indications on the EU market. The agreement aims at better informing consumers on the origin and quality of products and protecting them from being misled. The agreement reflects the European Union and Moldova's views on quality policy, consumer protection and intellectual property. Additionally, this agreement will help Moldova to adapt its domestic legislation to the highest standards of intellectual property rights protection. The development of Geographical Indications is expected to contribute significantly to the diversification of wine production in the Republic of Moldova. The initial protection of 2 wine Geographical Indications originating from Moldova is expected to help the marketing of these products on the EU market. It will also encourage the development of a Geographical Indications protection system in Moldova through its extension to other categories of products. The agreement responds to EU Member States' efforts to protect Geographical Indications internationally. After Georgia, Moldova is the second among the EU Neighbourhood Countries to take this important step forward in promoting and protecting the quality of agricultural production. The Decree № 781 of the Government of the Russian Federation of September 15, 2011 approves changes to the Regulations on patent and other fees for the performance of any legal actions related to a patent for an invention, utility model, industrial design, state registration of a trademark and service mark, state registration and the exclusive right to the appellation of origin, as well as state registration of the transfer of exclusive rights to other persons and agreements on the disposition of those rights. The Decree № 781 was prepared in order to equalize the amounts of fees associated with the provision of state services to all persons regardless of their nationality and thus to eliminate the terms "resident" and "non-resident", which is required by the standards and rules of the World Trade Organization. As the basis of calculating the amounts of the new fees, patent fees set in the Regulations of 2008 for residents - citizens of the Russian Federation were used. However, the rate of inflation was taken into account. In order to facilitate the introduction of modern information and telecommunication technologies and encourage citizens to obtain government services electronically, the Resolution stipulates availability of a 15% discount on the official fee for filing the application for an invention, utility model, design, trademark, appellation of origin in the electronic form. It should also be noted that the Decree № 781 establishes a new procedure for calculating the payment deadline and submission of the document confirming the payment of fees for registration of inventions, utility models, industrial designs and trademarks as 4 months from the date of the issuance of the decision to grant the relevant document. The Decree № 781 will be effective from the date of accession of the Russian Federation to the WTO. The Protocol on the Accession of the Russian Federation to the WTO was signed on December 16, 2011 and ratified on July 21, 2012. The Russian Federation will become a Member of the WTO 30 days after official publication on the ratification that took place on July 23, 2012, i.e. on August 22, 2012 and patent fees will be charged in accordance with the Decree № 781 as of August 23, 2012. - Number of absolute grounds for refusal of registration has been reduced, basically it concerns the lack of distinctive character of a mark. Though to all intents and purposes it should be mentioned that the regulations for maintaining of examination have not been published yet, so it requires time to understand how these changes will be accomplished in practice. - Also timeframes were shortened. The period for conducting of the formal examination has been reduced from two months up to one month and the substantive examination period has been reduced from 12 months to 9 months that will result in shortening of trademark registration process before Kazakh PTO. - Such procedures as licensing, filling oppositions before the Board of Appeals and assignment are more outlined. - Instructions for the language of the documents filed with the Kazakh PTO were defined. Trademark applications may be filed in either Russian or Kazakh, while assignments, oppositions and the documents that go along with them, such as supplements and the Power of Attorney must be filed in both Russian and Kazakh. In case above mentioned documents were filed in another language, notarized translation into both Russian and Kazakh is required. On this basis the fees of filing will be increased. Meanwhile, it is planned that language requirements will be reduced when the Singapore Treaty on the Law of Trademarks enters into force in Kazakhstan on September 5,2012. Until recently it was only possible to register domain names in Kazakhstan under the top-level domain name ‘.kz’, as well as various second-level domains such as ‘.com.kz’. Domain name registrations under these two domains are open for registration to all entities - local and foreign, companies and individuals. Now that the domain ‘. ?аз’ has been delegated, the Kazakh Registry has launched open registration of domain names under ‘. ?аз’, which means that it is now possible to register domain names composed entirely of characters from the Kazakh Cyrillic alphabet. Open registration follows the period from April 1 to July 31, 2012 given for the state authorities, holders of trademarks, logos and brand names to register domain names in the new Cyrillic zone. General open registration begins on August 15, 2012: ‘. ?аз’ domain names will be open to all entities without the need for a prior right and they will be allocated on a first-come, first-served basis. The ‘. ?аз’ domain name must contain characters of the Kazakh Cyrillic alphabet and comply with the domain name registration rules. The prices for open registration of domain names are to be determined by the accredited registrars. With the launch of ‘. ?аз’, Kazakhstan is now the third country in the world to offer domain name registrations in the Cyrillic alphabet, after Russia (with ‘.рф’ launched in November 2010) and Serbia (with ‘.cрб’ launched in January 2012). The draft Law "On Amendments and Additions to the Civil Code of the Kyrghyz Republic"
On June 2, 2012 the Government of the Kyrghyz Republic approved the draft of the Law "On Amendments and Additions to the Civil Code of the Kyrghyz Republic", prepared by the Kyrgyz State Service for Intellectual Property and Innovation. The draft law was developed to eliminate contradictions between the provisions of the Civil Code and the Patent Law of the Kyrghyz Republic, Law "On Copyright and Related Rights," Law "On Trademarks, Service Marks and Appellations of Origin," and also international treaties and agreements on intellectual property where Kyrghyz Republic is a member. The draft law contains an amendment of clarifying or specifying character that contribute to the proper interpretation and effective application of the provisions of the Civil Code relating to intellectual property. The draft law has been forwarded for consideration of the Kyrghyz Parliament. The European Patent Office (EPO) and the Federal Service for Intellectual Property of the Russian Federation (Rospatent) have signed an agreement in Moscow on May 16, 2012 enabling mechanical translation of patent documents from and into Russian, using the Patent Translate service. Patent Translate service is a machine-translation (MT) partnership between the EAPO and Google. The basis of this partnership lies in the mutual benefit of both sides, namely, the EPO is provided with the patent documents in various languages and Google then uses them to further improve its MT technology. The new service can be used through Espacenet, the EPO's database of more than 70 million worldwide patent documents, or the European publication server. Under the Agreement signed in Moscow, Rospatent and the EPO will exchange full-text versions of patent documents in Russian and English to create bilingual sets of texts. The goal of the agreement is to maximise convergence between patent systems and to facilitate market access for innovators and firms in both regions. The EPO President Benoit Battistelli commented the following on the Agreement: "For the first time in the history of the European patent system Russian-language patents will be made available to the users. This agreement breaks new ground in the relationship between the EPO and Russia. It will bring the wealth of technology contained in patents to the fingertips of innovators in both our regions, removing language as a delimiting factor". The Director General of Rospatent Boris Simonov considers that this agreement will facilitate the filing of patent applications by Russian companies in the rest of Europe and by European companies in Russia, which in turn will lead to further innovation in these two regions. Just over a year since Patent Translate service has been launched it is already active for 28 languages of the EPO member states, plus Chinese, Japanese and Russian. Korean is now the only language for which an agreement has yet to be signed. The Law of the Republic of Kazakhstan on “Ratification of Singapore Treaty on the Law of Trademarks” dated April 8, 2012 № 10 came into force. The Treaty does not apply to collective marks, certification marks and guarantee marks. The Treaty ensures the equality of rights of Kazakh applicants registering trademarks abroad and foreign applicants registering trademarks in Kazakhstan using specific rules for the preparation and filing of applications for registration of trademarks and service marks and introducing amendments to the documents relating to these marks. The Treaty simplifies formalities related to the procedure of trademark registration, improves information transmission via electronic means, and provides additional benefits to the applicants and owners of trademarks. According to the Minister of Justice, Berik Imashev: “The Treaty allows applicants to reduce their expenses and eliminates certain formalities associated with filing an application for registration of trademarks”. The Treaty also provides for the extension or restoration of missed deadlines for trademark registration, thus, protecting the interests of trademark owners. In general, the Singapore Treaty establishes a uniform procedure for the registration of trademarks and license agreements, and provides greater transparency of procedures conducted by the patent offices of the contracting states. Among the contracting states of the Treaty are Australia, France, USA, Italy, Spain, Netherlands, Singapore, Russia and other countries. The cooperation between Kazakhstan and these countries will introduce uniform mechanisms for the implementation of legal norms in the field of intellectual property that will enhance the image of Kazakhstan in the international community and promote business cooperation of small, medium and large businesses in Kazakhstan with similar structures in other countries. The 134th INTA meeting took place in Washington DC, USA in May 5-9. By tradition our company took part at the INTA exhibition introducing a new slogan “ART of IP” as one of the leading concepts of our work. Like an artist turning white paper into masterpiece, our company performs the real art of IP turning the ideas of our clients into the precious achievement and allowing them to improve and to succeed. By the following link the conference overview video is available, where the representative of Mikhailyuk, Sorokolat and Partners Ms. Eugenia Chernobai is interviewed. On the occasion of the World Intellectual Property Day the Chairman of the State Intellectual Property Service of Ukraine (hereinafter - SIPS) – Mykola Paladiy has delivered a speech, in which he described the high potential of Ukrainian inventors, which is confirmed by inventive activity statistics in Ukraine and the worldwide recognition of Ukrainian inventors. In support of his words the Chairman noted that the European Patent Organization reckons Ukraine among the countries with high intellectual potential and an effective state system of intellectual property protection, since the organization has officially invited Ukraine to become a member of the European Patent Convention. According to Mr. Paladiy, at present the state system of intellectual property protection in Ukraine is generally consistent with international norms and standards. However, the SIPS is constantly working at improvement of the legislation. Currently a working group of the most experienced Ukrainian professionals in the field of intellectual property aims by the end of 2012 to improve Book IV "Intellectual Property Rights" of the Civil Code of Ukraine and to create 3-4 major laws (instead of currently in force), one - on copyright, another one - on patents, and one or two laws that will regulate common issues. The relevant by-law acts and regulations are planned to be amended either. According to the Chairman of the SIPS, the Parliament of Ukraine will be able to adopt these amendments as early as in 2013. Mr. Palladiy also reported on the preparation of the International Forum on Intellectual Property, which in 2013 in cooperation with the World Intellectual Property Organization will be organized for the first time in Ukraine. A wide range of specialists in intellectual and industrial property as well as copyright will visit this global forum. At the end of his speech Mukola Paladiy said that this year in Geneva Ukraine plans to officially announce its desire to acquire the status of International Searching Authority. Trade mark applications and registrations from the Latvian PTO have now been added to the TMview search tool, which provides free access to data on almost 7 million trademarks. There are now 19 offices contributing trademark data to TMview. Besides Latvia, TMview provides access to trademarks held by OHIM, WIPO, as well as the UK, Danish, Italian, French, Portuguese, Spanish, Swedish, Benelux, Bulgarian, Slovakian, Lithuania, Czech, Slovenian and Estonian PTOs. The goal is to eventually cover all EU member states. TMview went live on 13 April 2010 and welcomed more than 650,000 users from 178 different countries. A new version of TMview has recently been launched to simplify the search through the database. On April 12, 2012 in Chisinau, Moldova, there was signed the Agreement between the Government of the Republic of Moldova and the Eurasian Patent Organization on the legal protection of inventions in the Republic of Moldova after the denunciation of the Eurasian Patent Convention. The reason of signing this Agreement lies in the denunciation of the Eurasian Patent Convention by the Republic of Moldova which shall take effect on April 26, 2012, as well as the absence of the provisions in the Convention regulating the rights of applicants and owners of Eurasian patents after its denunciation by a Contracting State. Thus, in order to comply with the rights and lawful interests of applicants and owners of Eurasian patents the Agreement provides for the recognition in the Republic of Moldova the effect of Eurasian patents granted prior to denunciation of the Convention by the Republic of Moldova, until they expire or until other legal facts cease their validity. The Republic of Moldova also recognizes Eurasian patents granted after the effective date of denunciation on the Eurasian applications having a filing date before April 26, 2012, until the patent expires or until other legal facts cease its validity. It is also possible to convert Eurasian applications filed before April 26, 2012 into national applications of the Republic of Moldova at the request of the applicant, which is submitted prior to the expiration of six months from the date the applicant receives the decision of the Eurasian Patent Office to refuse to grant a Eurasian patent or the date the applicant receives the Notification on refusal of objection to the above decision, provided that the fee for preparing and transferring to the State Agency on Intellectual Property of the Republic of Moldova a certified copy of the Eurasian application is paid. In order to simplify fee payment procedure for the owners of Eurasian patents, the Agreement stipulates that all fees for the maintenance of Eurasian patents in force for the Republic of Moldova are payable to the Eurasian Patent Office. It is also provided that there is a centralized system for implementation of all legal actions in respect of Eurasian applications and Eurasian patents recognized by the Republic of Moldova within the framework of the Eurasian Patent Office, including registration of transfer of the right to a Eurasian patent, consideration of the requests about refusal of a Eurasian patent or restriction thereof, restoration of rights with respect to a Eurasian patent, administrative revocation of a Eurasian patent, making corrections and changes to a Eurasian patent. Fees for implementation of legal acts, as well as payments for services rendered by the Eurasian Patent Office shall be paid to the Office. The Agreement establishes the possibility to resolve disputes relating to validity of a Eurasian patent or the infringement of a Eurasian patent in the Republic of Moldova in courts or other competent authorities of the Republic of Moldova. The Agreement also establishes the right of the applicants and patent holders from the Republic of Moldova, which before the effective date of denunciation of the Convention by the Republic of Moldova had been carrying out prosecution of their Eurasian applications and Eurasian patents individually or through representatives, non-Eurasian patent attorneys, to continue prosecuting these Eurasian applications and Eurasian patents without appointment of a Eurasian patent attorney. In addition, citizens of the Republic of Moldova, registered in the Eurasian Patent Office as a Eurasian patent attorneys prior to the effective date of denunciation of the Convention by the Republic of Moldova, which prosecute Eurasian applications filed before the effective date of said denunciation, and Eurasian patents indicating the Republic of Moldova issued before the above date, are entitled to continue their work on these cases until they are completed. The Agreement shall be valid until the expiration of validity of the last Eurasian patent in force in respect of the Republic of Moldova. Moldova's Patent Office provides public access to the database "State Register of Holders of Control Marks"
As of March 14, 2012 the State Agency on Intellectual Property of Moldova allows open access to the electronic database "State Register of Holders of Control Marks" to assist applicants, owners, patent agents and other parties of interest in searching information on control mark holders. The database is available at: http://www.db.agepi.md/registru_marcaj.aspx. The database is an advanced search tool adapted to new technologies, which provides information about the registration of owners and serial numbers of control marks and the number of control marks issued from January 1, 2012. Users can search for a control mark using an alphanumeric code consisting of two letters and seven digits. The following series of control marks have been established: DA – for compact discs (CD, DVD) and AA – for audiocassettes (MC). The control marks are uniform labels in the shape of a three-dimensional image on a self-adhesive and a self-destructing basis containing an alphanumeric code with a special level of protection on the outside. According to Moldova’s legislation on copyright and related rights all copies of works or phonograms, which are produced, distributed and/or broadcasted in the territory of Moldova are to be marked with control marks, except for those used by individuals exclusively for personal purposes. A person who uses and distributes copies of works or phonograms, violating copyrights and neighboring rights or the law № 1459/2002 on the distribution of copies of works or phonograms, may suffer a penalty in accordance with the civil, administrative and criminal laws. - the texts of decisions of the EAPO on the results of examination of oppositions. The information on the results of examination of oppositions (in respect of decisions of the Eurasian Office that may no longer be appealed), and the texts of the final decisions will be published on the EAPO web site. The above information and the texts of decisions will be published in respect of oppositions received by the Eurasian Office and accepted for consideration starting from 2011. The law amending the Civil Code’s Part 4 entered into force in Turkmenistan on January 19, 2012. The previous variant of Part 4 was the basic legislative act on copyright and related rights in Turkmenistan along with other separate legal acts regulating the matters related to trademarks, patents and industrial designs. The amended version of Part 4 titled as “Legislation on Intellectual Property” regulates legislative aspects of the entire IP area, including copyright and related rights (neighboring rights), industrial designs, semiconductor topographies, selection achievements, trademarks and commercial names. The changes specifically affected IP licensing and assignment agreements. The new Code stipulates that a natural or legal person having an exclusive right to the result of intellectual activities or to means of individualization, may use this result or this means at his discretion in any manner not violating the law. It is also stipulated that a licensing agreement should include the subject of the agreement and the procedure of using the results of intellectual activity or means of individualization. In cases envisaged by the legislation of Turkmenistan, a court, at the request of an interested party, may make a decision on granting a person the right to use the results of intellectual activities, the exclusive right of which belongs to another person (compulsory licensing). In light of the amendments of Part 4 of the Civil Code, the Turkmenistan parliament has passed a separate copyright and related rights law, which took effect on January 20, 2012. The Law regulates the relations arising in connection with creation and use of works of science, literature and art, phonograms, performances, broadcasts, broadcasting organizations and cablecasting. It is expected that the new Law will be an effective means of protecting the legitimate rights and interests of authors and creators of objects of related rights. The Cabinet of Ministers of Turkmenistan has been instructed to harmonize regulatory acts of the government and other state authorities with the new version of Part 4 of the Civil Code by March 1, 2012. Republican State Enterprise "National Institute of Intellectual Property" of the Committee on Intellectual Property Rights of the Ministry of Justice of the Republic of Kazakhstan provides services in the field of industrial property protection and is financed by its own income. 2) for individuals - the payment of 30% of the fee (service). The order came into force after its official publication that took place on January 24, 2012. Trademarks from the State Patent Bureau of the Republic of Lithuania have now been added to the to the TMview search tool, providing free access to trademark applications and registrations from a number of leading trademark offices. The latest expansion of TMview brings the total number of offices contributing data to 17. Besides, Lithuania now there are Bulgaria, Benelux, Czech Republic, Denmark, Estonia, Spain, France, the UK, Italy, Portugal, Slovakia, Slovenia, Romania, Sweden, WIPO and OHIM. With the addition of Lithuanian trademarks, Tmview now provides access to more than 6,6 trademarks in total. 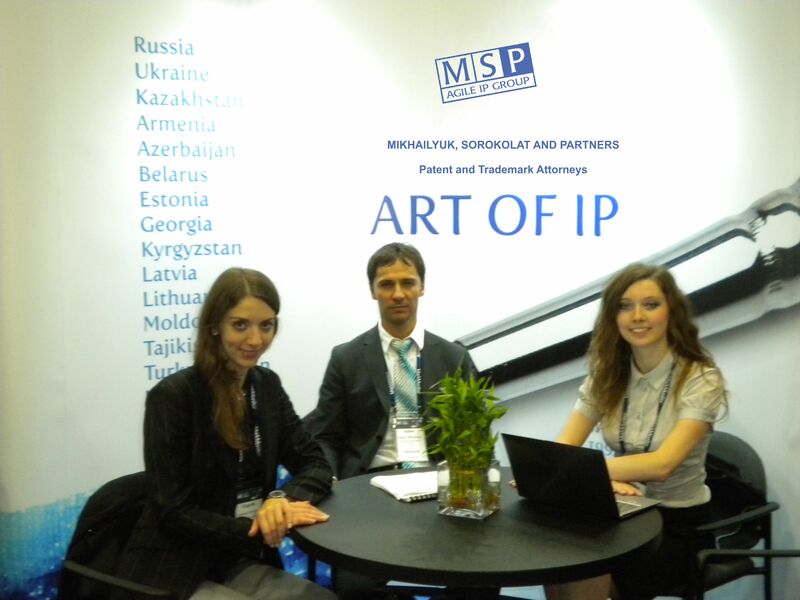 Since 2012 Eurasian Patent Office publishes amended patent documents according to the WIPO recommended standard ST.50. From now on any elimination of a substantial mistake in a patent document will be accompanied by the republication thereof. Amendment of front pages of an application or a patent will result in republication of correspondent front pages, while amendment of the description of applications or patents will be followed by the republication of both front pages and the descriptions themselves. Bibliographical data produced on the front page of amended documents should be up to date. The information concerning amendments is placed on the front page under codes INID 15 and 48. Amended documents should be recorded onto CD-ROM together with the full description of inventions to Eurasian applications and patents. According to Order No. 304* the amount of the guarantee sum which shall be provided by the rightsholder in the frame of the proceedings as to the recordal of the IP object in the custom register was decreased from 5000 Euro to 1000 Euro. As providing of the guarantee sum is the obligatory condition for the recordal such decreasing made the procedure of the protection of IP rights more affordable for the rightholders. According to WIPO’s PCT Newsletter, No. 01/2012, on October 26, 2011 the Republic of Moldova deposited a notification of denunciation of the Eurasian Patent Convention, which will take effect on April 26, 2012. This denunciation will not affect granted Eurasian patents or PCT applications filed before April 26, 2012 containing the designation of the Republic of Moldova for a Eurasian patent; these patents and applications will continue to have full effect. However, as a result of the denunciation, any international application filed on or after April 26, 2012 will contain the designation of the Republic of Moldova only for a national patent, and will not include the designation of that State for a Eurasian patent. Furthermore, as from April 26, 2012 the Eurasian Patent Office will no longer be a competent receiving Office for international applications filed by nationals and residents of the Republic of Moldova. The remaining competent receiving Offices will be the State Agency on Intellectual Property (Republic of Moldova) or the International Bureau of WIPO, at the choice of the applicant. WTO ministers adopted Russia's WTO terms of entry at the Eighth Ministerial Conference in Geneva. Provided Russia ratifies the required documents by June 15, 2012 and completes certain other formalities, it will finally become a fully fledged member of the WTO. A significant amount of issues that earlier prevented Russia from entry constitutes intellectual property (IP) aspects. One of the areas that require improvement is protection of IP in courts. At the moment, courts of law have several divisions comprised of judges who specialize in certain categories of disputes, like companies, taxes, contracts and so on, not having relevant specialisation in treating IP matters. On November, 23 2011 there was adopted in the third reading the Law "On amending certain legislative acts of the Russian Federation in connection with the creation of the Court for Intellectual Property Disputes. The Law introduces amendments to several regulations: the Law "On Status of Judges", the Arbitrazh Procedure Code and part 4 of the Civil Code. The Law provides for the creation of a specialized Court for intellectual property disputes in Russia. Under the new law drafted by the Supreme Commercial Court, the patent court should be established no later than February 1, 2013. The Court will consider disputes relating to the protection of intellectual property rights as a court of first instance and cassation instance. Cases of this category will be considered by the Court regardless of whether the parties are organizations, individual entrepreneurs or citizens. The question still remains as to whether the judges will be suitably qualified and whether their number (30) will be enough to address IP issues for the whole of Russia. Furthermore, it is not clear why disputes concerning copyright and neighboring rights as well as protection of IP rights were left outside the competence of a specialized court in the first instance. The Law of the Republic of Belarus of December 30, 2011 "On Amendments and Additions to the Tax Code of the Republic of Belarus" came into force on January 1, 2012. The Law of the Republic of Belarus of December 30, 2011 "On Amendments and Additions to the Tax Code of the Republic of Belarus" came into force on January 1, 2012. In accordance with the Law there are new provisions of the Tax Code of the Republic of Belarus, including those relating to patent fees. In particular, paragraph 5 of Article 264 of the Tax Code of the Republic of Belarus is supplemented with the norm, according to which in cases when a patent fee has been paid in excess of the established amount or when a legally significant action with regard to industrial property object, for which a fee was paid, was not performed, at the request of the payer, the funds received in payment of the fee or overpaid fee amount are either refunded or credited against other fees. The new Tax Code of the Republic of Belarus eliminated provisions for payment of patent fees for claiming a convention priority when applying for patents for inventions, utility models, industrial designs. The Annex 23 of the Tax Code of the Republic of Belarus is set out in new edition in paragraphs that concern applications for a patent for a utility model, maintenance of a patent on plant variety, extension of term for filing response to Examiner’s request.